Our first Valentine’s Dinner will begin Saturday night. This romantic evening will feature a prix-fixe menu ($55 for members, $75 for non-members), wine, and candlelight that is sure to warm up even the coldest of hearts. Next comes Sunday Brunch, a great alternative to a romantic night out and a wonderful way to involve the kids in the mix. We will be offering some delicious Valentine’s Day specials along with our award winning brunch menu. Don’t forget, we’ll have champagne and wine specials, as well as our ever-popular Bottomless Mimosas. 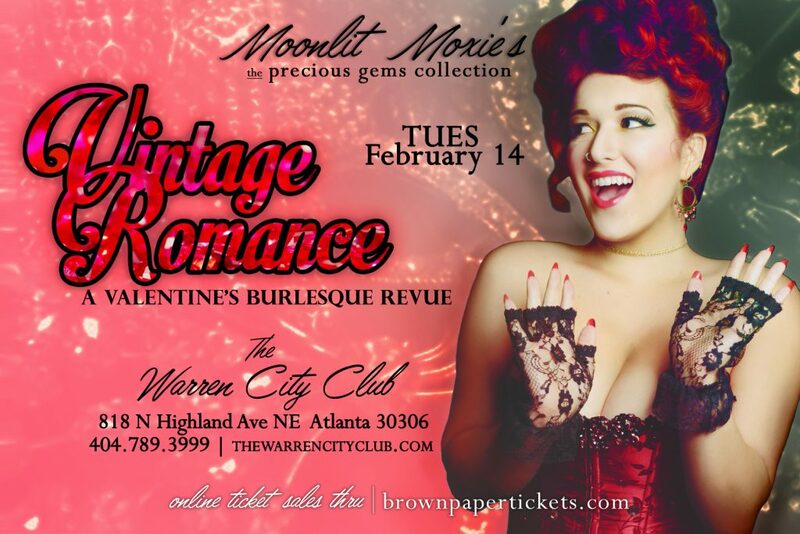 The Warren is proud to present one of Atlanta’s premiere burlesque troupes. 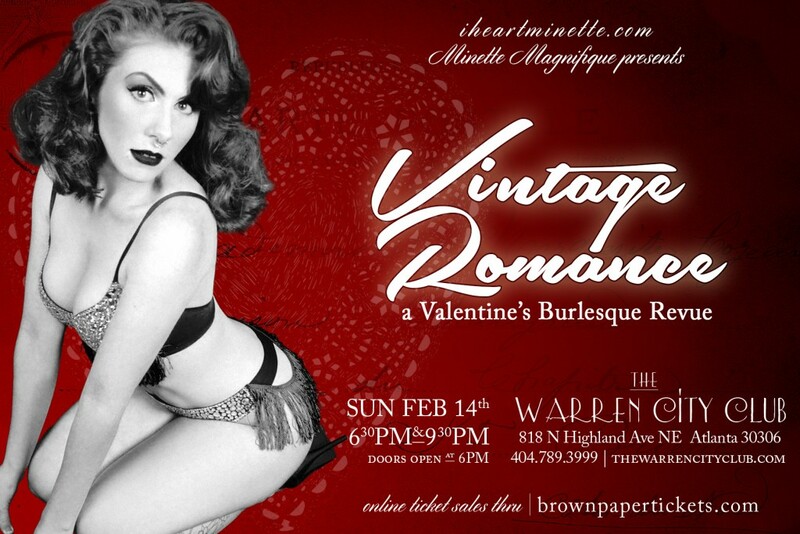 Valentine’s night we will be offering an amazing, prix-fixe dinner that is sure to make your loved one feel extra special, as well as showcasing a fantastic burlesque show with Minette Magnifique‘s luscious ladies. 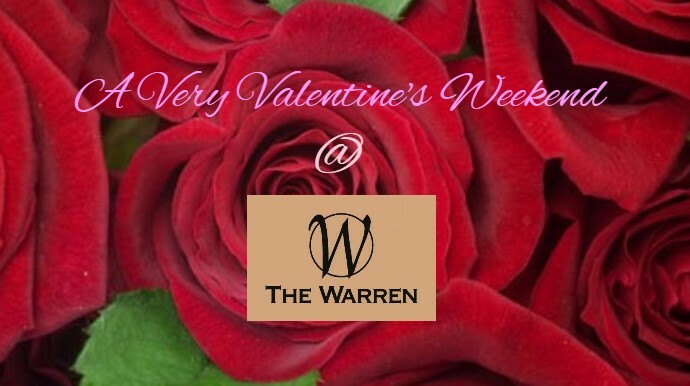 Warren Members pay just $50 for a four course dinner and get the show thrown in for free! Can’t quite make it for dinner, but still want to show your sweetheart a great time for Valentine’s Day? Members never pay an entry fee, so come on in and enjoy the lovely ladies of burlesque with a glass of wine and a friend. There will be two shows for the evening, giving you ample opportunity to have a great night with us! Don’t miss out on the best Valentine’s night in the city.